These trails are beginner friendly, ideal for hiking and biking. There are three intersecting loops: one easy, one intermediate, and one line of challenging terrain. Leashed dogs welcomed, horses and ATVs are not. Most trail is flowing single track in the woods with some challenging features, but with alternate, easier re-routes. There are three wooden bridges, a beautiful lake view, and an impressive rock face, for which bouldering is strongly prohibited. All trails are well marked and listed with color and names at the trail head. Way-finding signage is also well marked. Review: Worth riding to see the moss rocks and plant life that are representative of NEOK. Trails are okay from first impression, will go back sometime and ride again, not bad for a short ride if you live close enough. 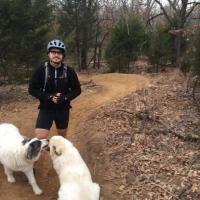 Review: This trail network is a hidden gem in NEOK. Challenging climbs, rewarding descents, and fun features everywhere in-between! Give yourself plenty of time to explore everything this location has to offer - it's awesome! Great for beginners and kids as wall as seasoned MTB enthusiasts. Review: These trails are a blast. They showcase the natural features of NE Oklahoma. Roots, rocks, quick flowing singletrack with fun berms. Some of the berms are a little tight, but they're still fun. The trails are well maintained and marked. I highly recommend these trails for hiking and riding. 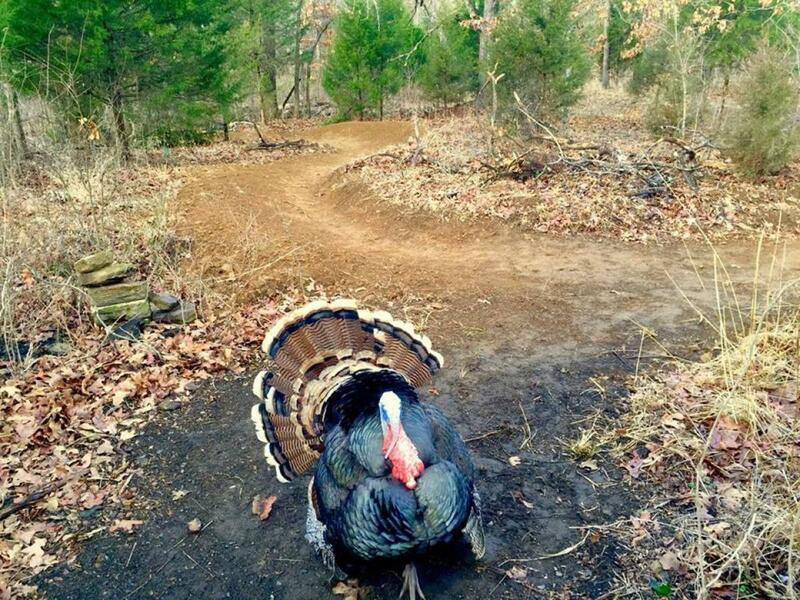 Similar Trail: Claremore Mountain Bike Trails. Collinsville Mountain Bike and Hiking Trails MTB Trail 3.75 out of 5 based on 5 ratings. 5 user reviews.